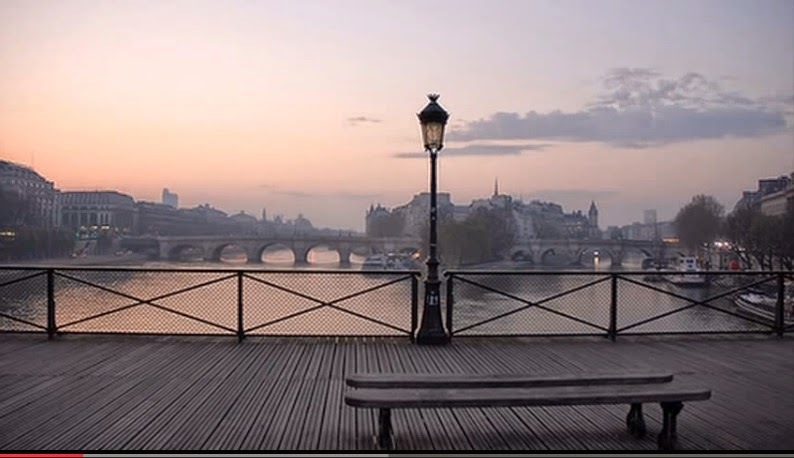 This is a very jolly, lively song, not too serious I would think, in which Brassens celebrates one of the most famous landmarks of Paris – the footbridge over the Seine called Le Pont des Arts. The following photo beautifully captures its setting in the heart of Paris. For history of the bridge click this link to the Wikipediaarticle. Brassens is amused that the wind, no respecter of persons of whatever kind, mischievously strikes the bridge with its strong gusts, discomforting and embarrassing stuffy people of all social classes. Prudenc' , prends garde à ton jupon! Prudent , prends garde à ton chapeau ! Prudenc', prends garde à ton chapeau ! Take care, hold tight onto your skirt! Watch out, hold tight onto your hat! He prefers to choose the victims of his little games. 1) crois's le vent ,= (Croiser quelque chose) to chance to run into/ to bump into something - to pass someone or something coming in the opposite direction. 4) Jean-foutre – My Petit Larousse tells me that "Je m'en foutisme" = insouciance. that means not giving a care about anything. 16) fâcheux – upsetting – annoying ie something that is a nuisance or a pain – disagreeable/ unpleasant – unfortunate/ untoward. I use "bad tempered." It is self-evident that those who, because their clothing has been violently blown about, become very annoyed or angry, will, at that moment at least, be the most bad tempered. This is Brassens' little joke.